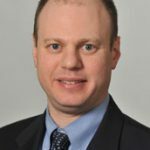 Joshua D. Stein, MD, MS is an ophthalmologist and health services researcher at the University of Michigan Department of Ophthalmology and Visual Sciences. His research interests include studying utilization patterns, outcomes, and access to eye care services in the United States. He is presently working with claims data from a large nationwide managed care network database of over 10 million eye care recipients to assess disparities in eye care among different racial groups.